I have a funny story to tell you about coffee in Vietnam. Ok, so here it is. I had a friend who went to a Starbucks in Vietnam (I know, hilarious already!). And apparently there was a bit of confusion when it came to the type of milk she'd prefer. After trying to explain, the employee said "oh, you want breast milk?". But I digress. Because we're here to talk about Vietnamese coffee, which is made with the magic of sweetened condensed milk. Yes, it comes from a can, but good-golly does it do something magical to coffee. Seriously--this stuff is amazing, and you might not ever go back to breast milk. 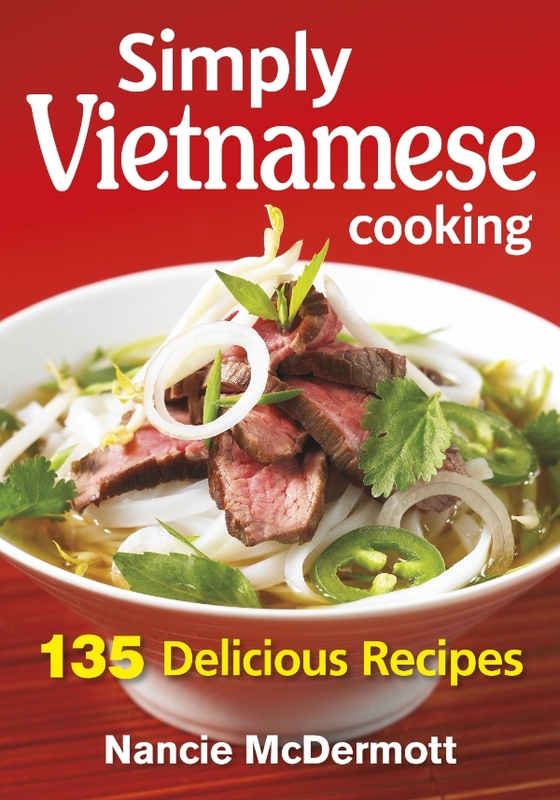 This recipe is excerpted from the newly-released Simply Vietnamese Cooking by Nancie McDermott. Enjoy! Vietnamese coffee is a lingering souvenir of the French colonial presence in Vietnam. Along with delicious baguettes and the fabulous sandwiches they inspired, ca­phé sua da long ago made itself at home, embraced with such passion that it has become something very Vietnamese. You can make it at home with ease, with or without the signature top­ hat contraption used to prepare ca­phé in Vietnamese establishments. If you lack the metal filter but long for the taste, pour 2 tbsp (30 mL) of sweetened condensed milk into a coffee cup or sturdy bistro glass. Brew some espresso, add it to the cup and stir like crazy. Voilà ca­phé sua! Pour over ice and it’s ca­phé sua da. 1. Spoon condensed milk into a coffee cup or a short drinking glass and place Vietnamese coffee filter on top. For iced coffee, fill a tall glass with ice cubes and set aside. Remove coffee filter’s lid, unscrew inner press and set both aside. Add ground coffee and then screw the press lightly in place to pack coffee down a bit. Add boiling water, cover with lid and let water drip through coffee, 3 to 5 minutes. 2. Remove lid and rest upside down. Then place drained filter basket on inverted lid to catch any last drops of coffee. Stir well to mix coffee with milk. For iced coffee, pour coffee into ice­filled glass and serve. For hot coffee, skip the glass of ice or da and sip (carefully) your steaming ca­phé sua. If you’re buying ground coffee, look for espresso so that it will be strong and robustly flavored. If you’re buying whole beans, look for French roast or Italian roast and grind the beans as finely as possible. You’ll find the top­hat contraption in many Asian markets and through mail­order sources.